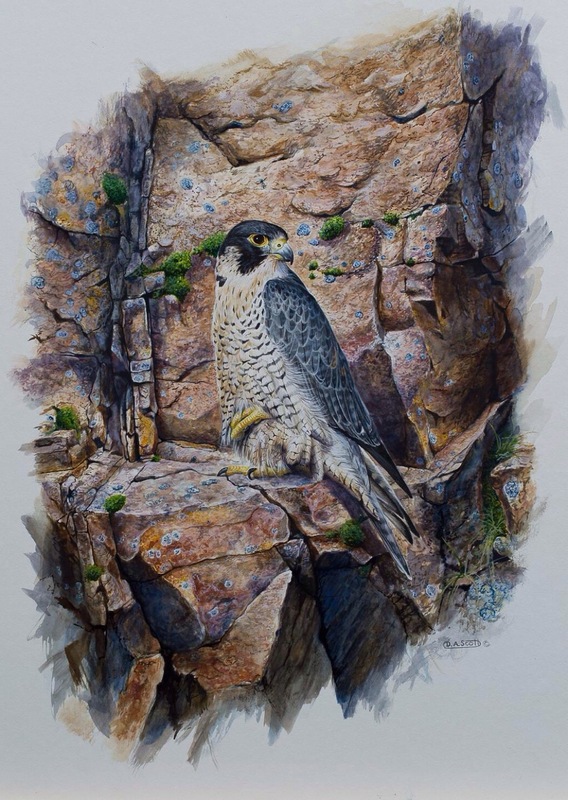 South West Peregrine will be at this years Birdfair at Rutland Water Nature Reserve, we have been invited as guests of the Hawk and Owl Trust and are very much looking forward to meeting people the world over. We hope you have 10 minutes to spare to come and say hello, view our display, chat with some of the team and marvel at the Peregrine. The display includes Artwork, artefacts and information and will be an interest to anyone with a remote passion for Birds. We cannot thank the Hawk and Owl Trust enough for this wonderful opportunity as we are still a relatively new group, yet in the past year we have made many new friends and contacts. We will be running a raffle each day, so please come along and support our study/field work by buying a ticket or two. The prizes are fantastic. We are lucky to be joined by Ian McCarthy on Friday and Saturday; many of you will know him from his wildlife filming career, we are lucky that he contributes to our field work and can call him a friend. It is always such a fun and friendly event; three days with like minded souls, let’s hope the weather is kind.